Planning submitted for residential scheme, Bath Lane Leicester. 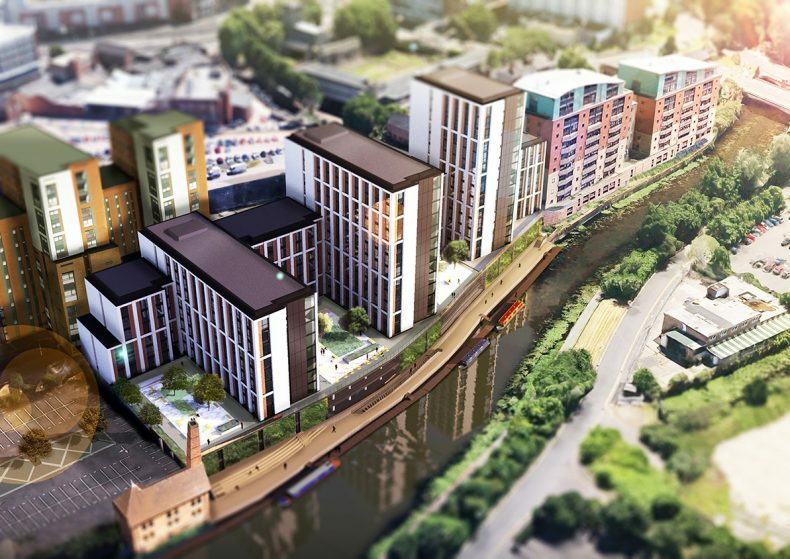 The proposal consists of three towers and creates over 400 homes with ancillary accommodation and retail units. The scheme sits on a car parking plinth, with landscaped courtyard gardens above between the towers, which look over the waterside. A set-back from the water creates a public towpath with continuous boat moorings along the waterfront. The building itself employs an ordered and robust design language, with a woven layering of materials and legible composition.